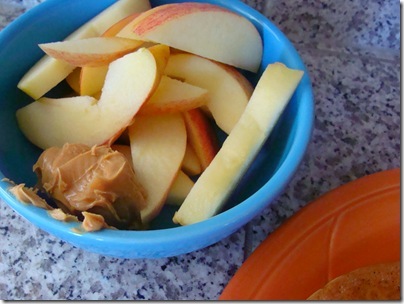 Finally – a day that I ate normally! I know they look boring but they were pretty tasty! 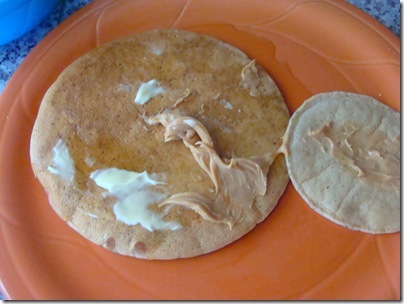 I mixed flax meal in the mix, added some butter and PB on top then drizzled with Maple Syrup. The apple on the other hand was not good – no flavor! BOO! I haven’t had a healthy meal in 3 days! So I knew today was going to be loaded with much needed veggies! 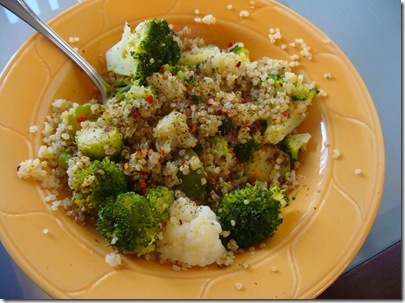 For lunch I steamed some broccoli, cauliflower and Brussels sprouts; then served them over quinoa and a little pesto! I added some chili flakes for a kick. 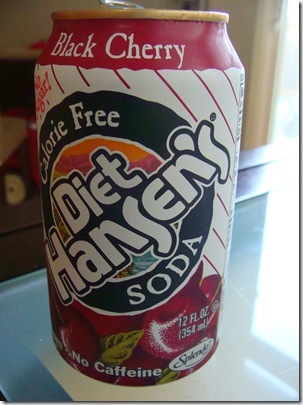 Plus a Hansen’s Soda – I love this flavor! 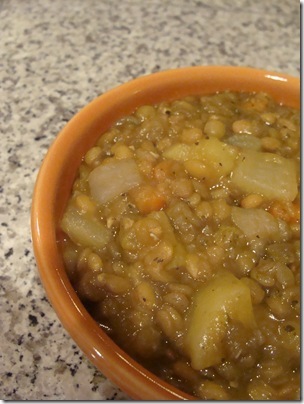 I was craving lentil soup last night! I made a batch in an hour and it turned out beautifully! 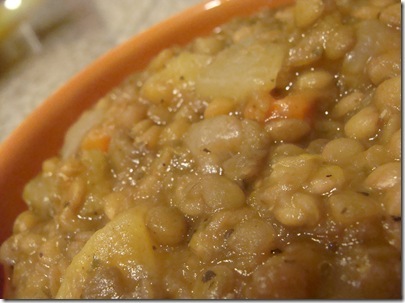 Lot’s of onion, carrots, celery, spices and of course: lentils! I am planning on taking better pictures today and posting a recipe – I cannot wait for you all to try this! And I was able to watch Oprah’s episode yesterday with Michael Pollan and Alicia Silverstone – what a great show! I am not much of an Oprah fan but this was a wonderful show. Although, if you have watched Food Inc., read Michael’s books and have read Alicia’s book then it was basically a recap of what you already know. Still, it doesn’t hurt to have a reminder of great food ethics and healthy eating. Here is my review on Food Inc. I love those sodas! I only wish they sold them more places. I'm in love with your lunch. I've been wanting to make quinoa for the past 2 weeks and just haven't gotten around to it! 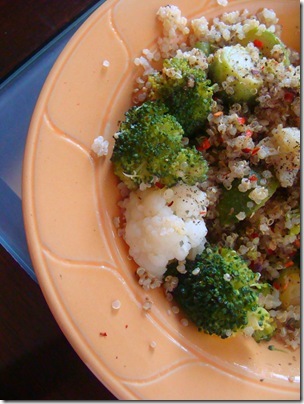 Quinoa with pesto sounds excellent! Thanks Christine! I am so glad they have worked out for you! I can't wait for the recipe either. lolBoth recipes that I have tried that I got from you have been great. YAY for a normal day of eating!